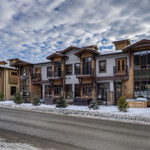 Welcome to Village Walk 11! 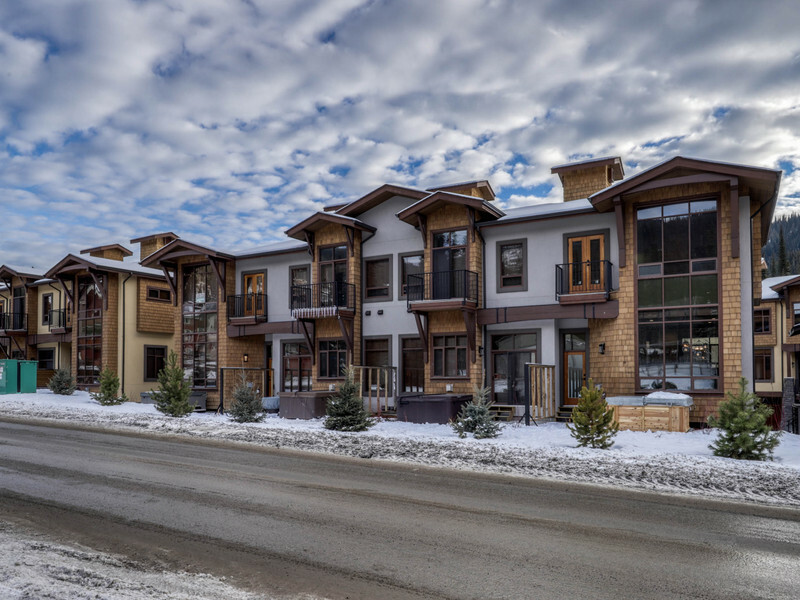 This brand new Village Walk town home is now ready for your visit! 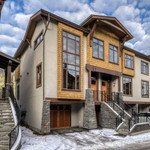 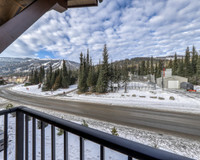 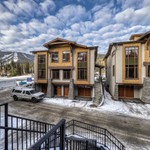 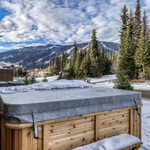 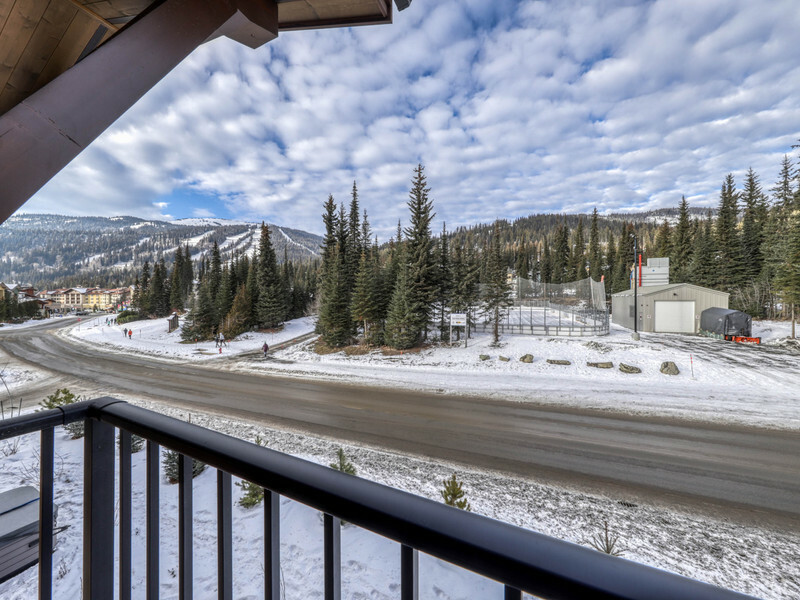 Village Walk at Sun Peaks is a collection of new ski-in ski-out luxury town homes that offer a rare and unique opportunity to stay just steps from the resort village (just a 2 minute walk) while enjoying the space and serenity of the Valley Trail. 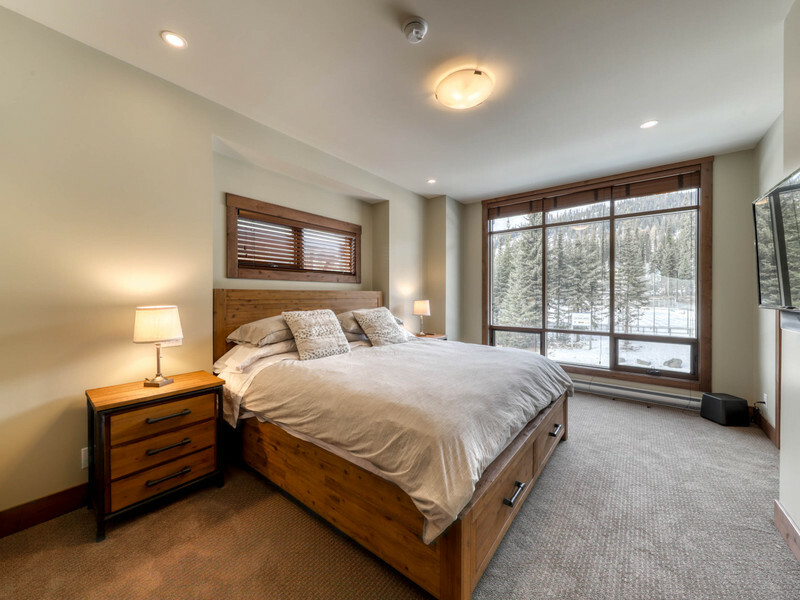 Village Walk 11 has been set up with fine furnishings, comfortable beds, large TVs, sound system, and your very own, private Discovery Hot Tub to enjoy! 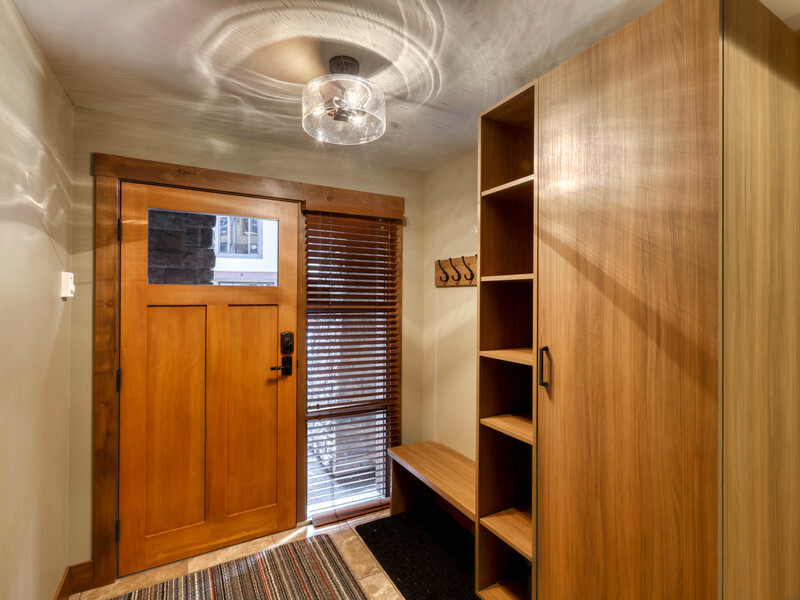 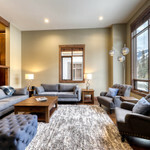 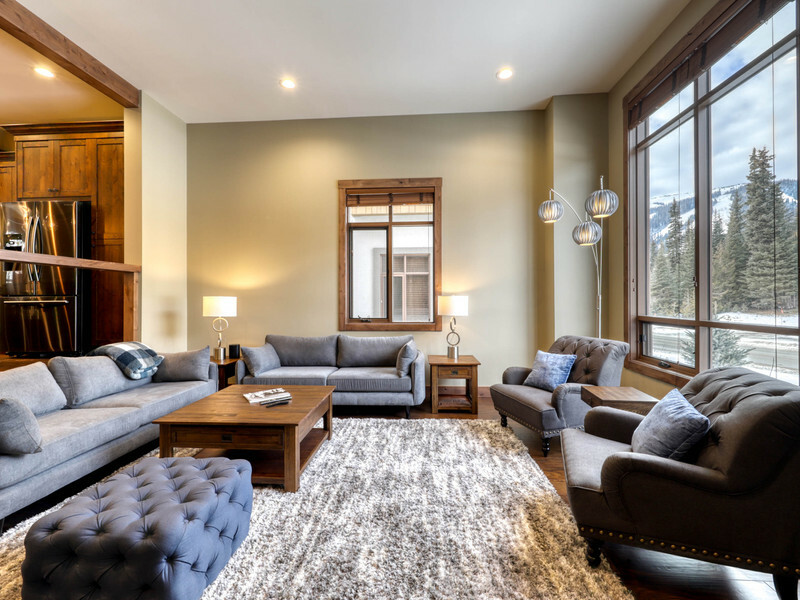 This beautifully decorated town home offers 2,400 square feet of high-end living space that will comfortably sleep 10 people. 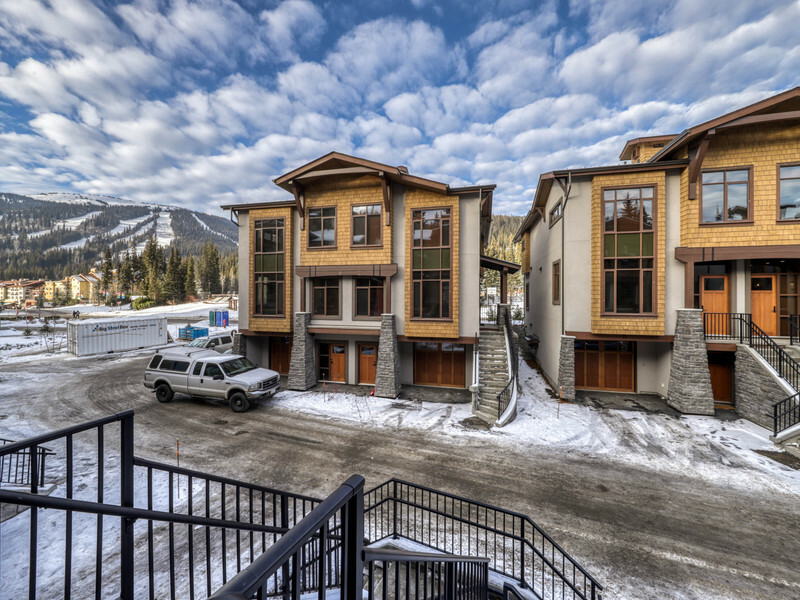 Village Walk 11 is the ideal vacation home! 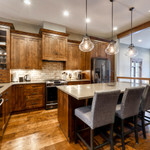 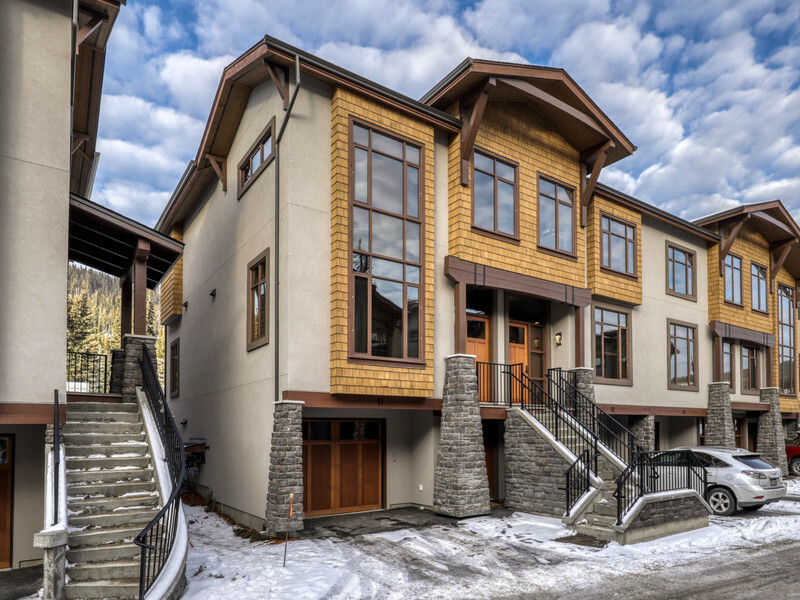 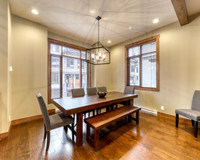 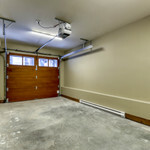 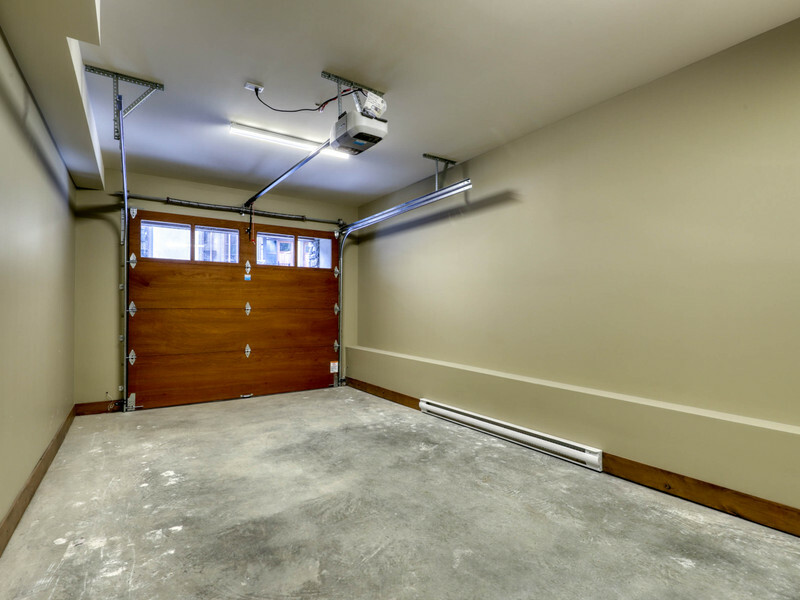 The open concept on the main floor has high 12 foot ceilings and large windows. 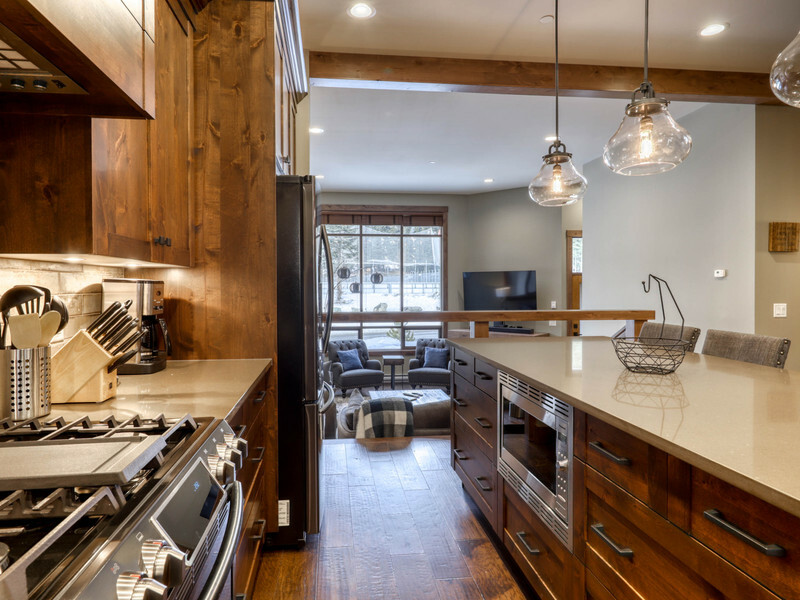 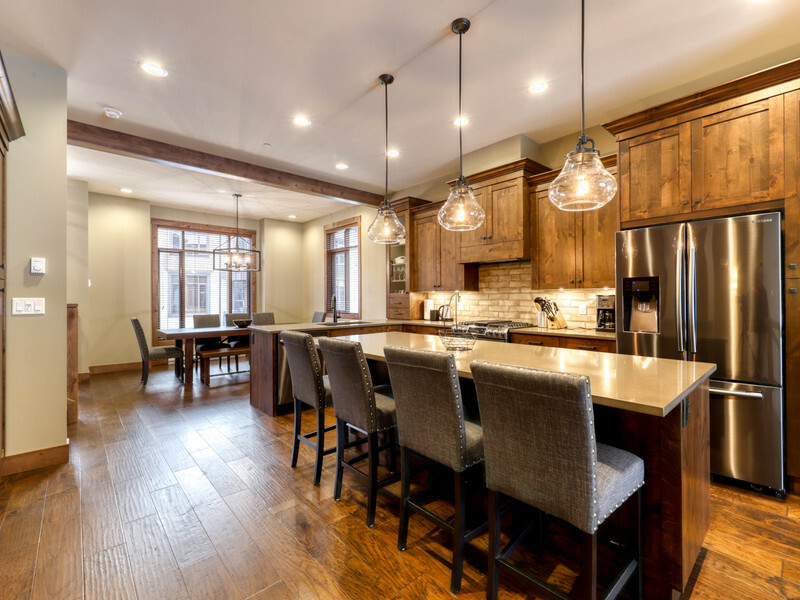 The kitchen is large and roomy, and has all of the amenities you could ever need. 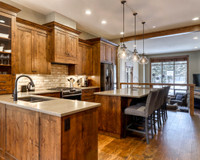 High end appliances of course! 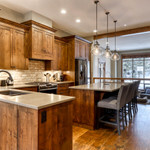 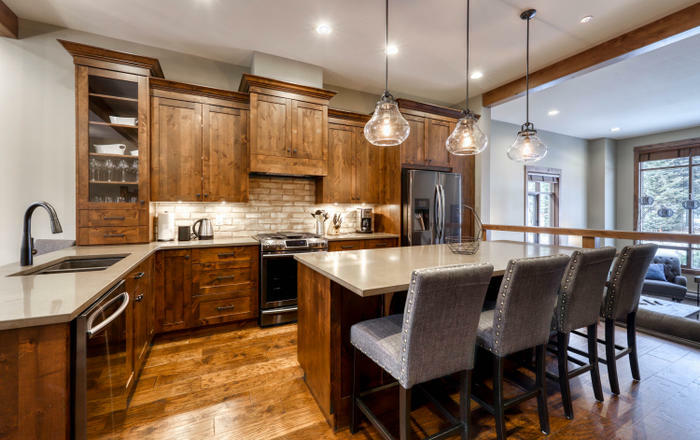 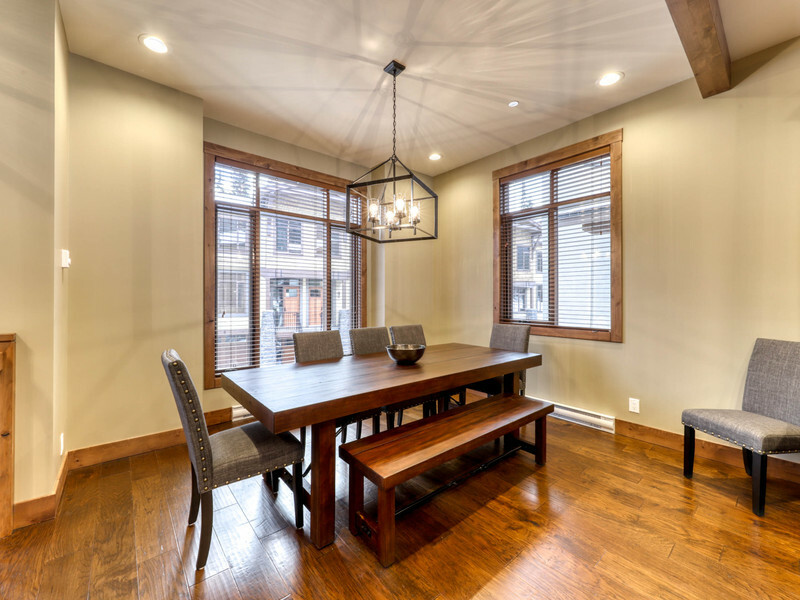 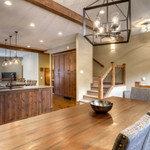 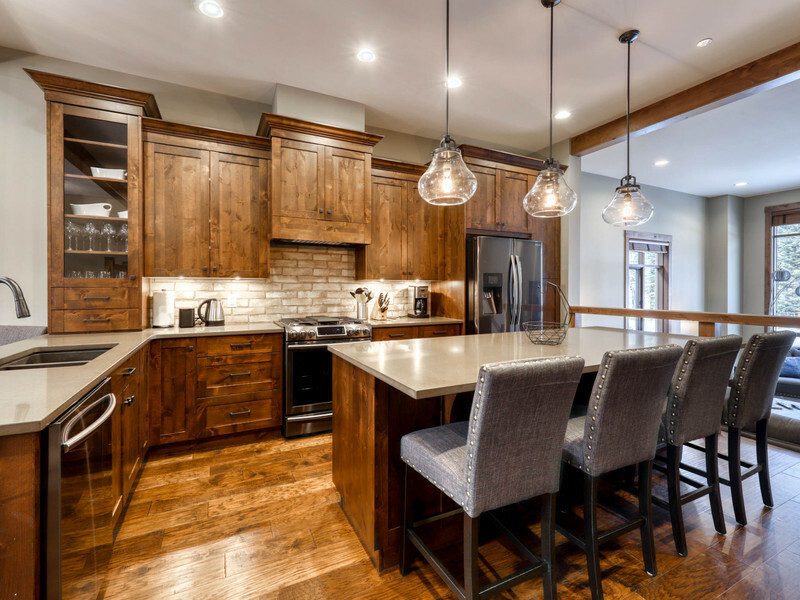 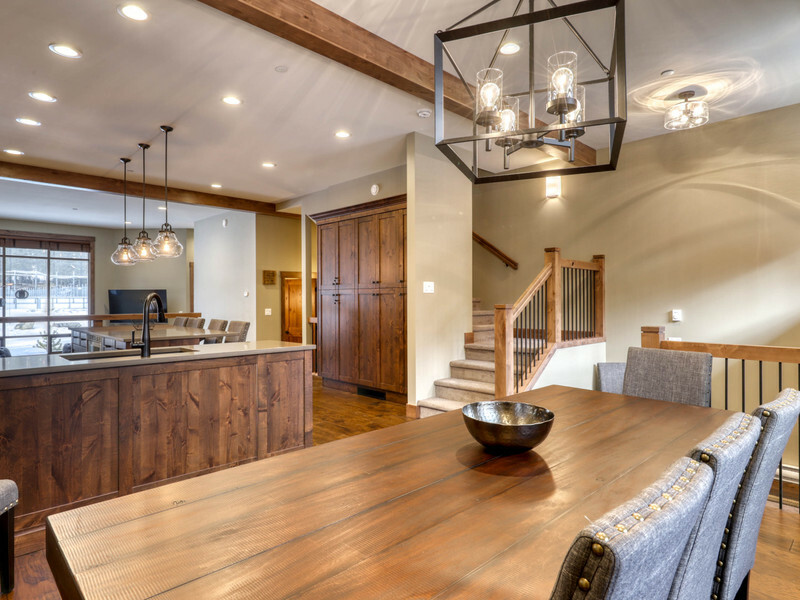 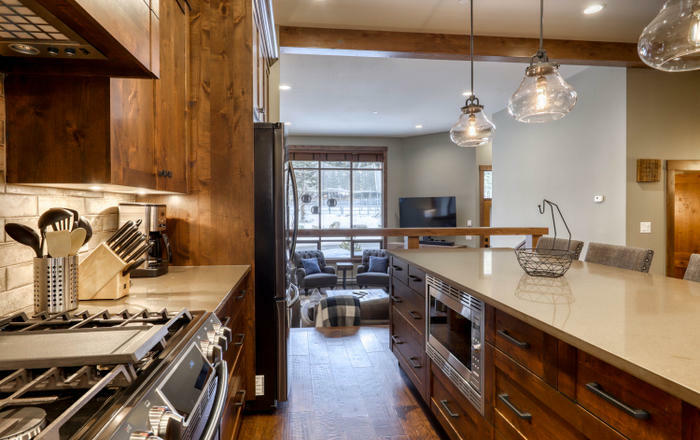 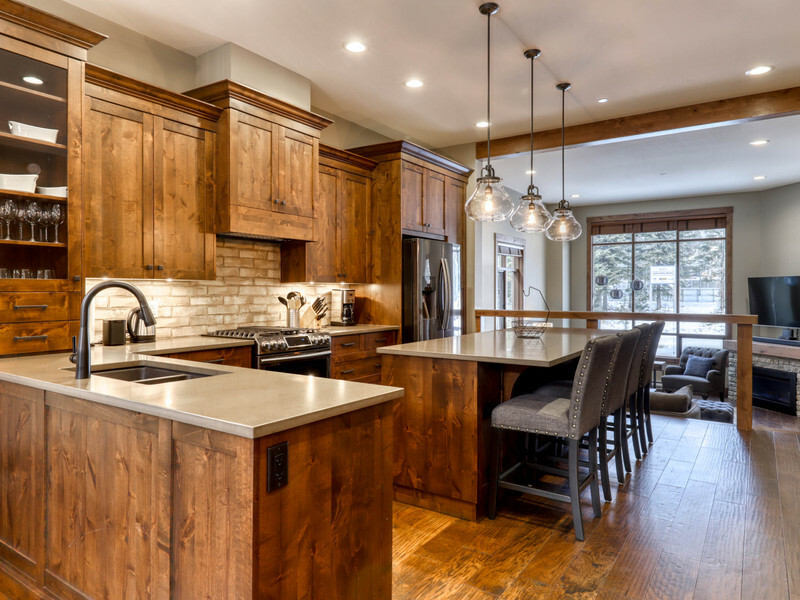 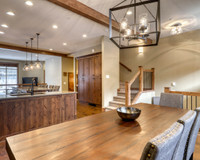 The dining room and large kitchen island offer plenty of seating. 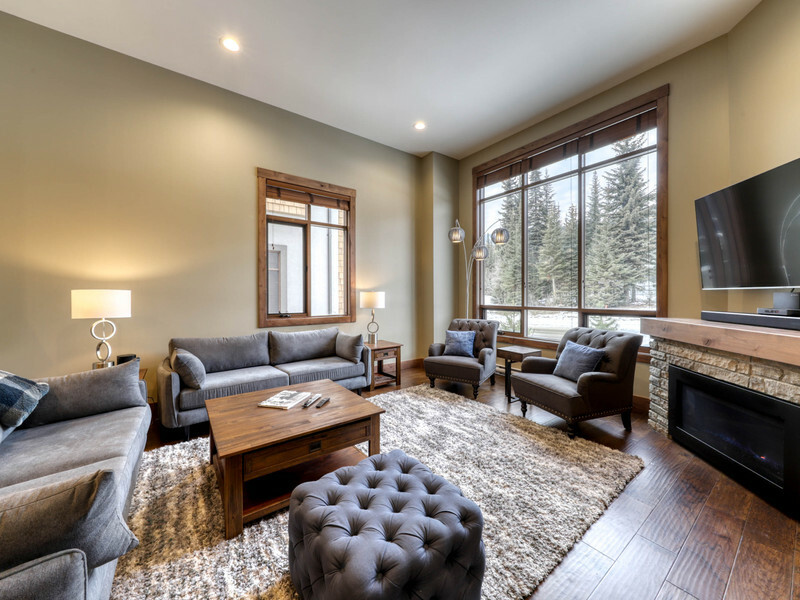 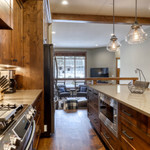 Step down to the living area with comfortable sofas and chairs, cozy gas fireplace and large TV. 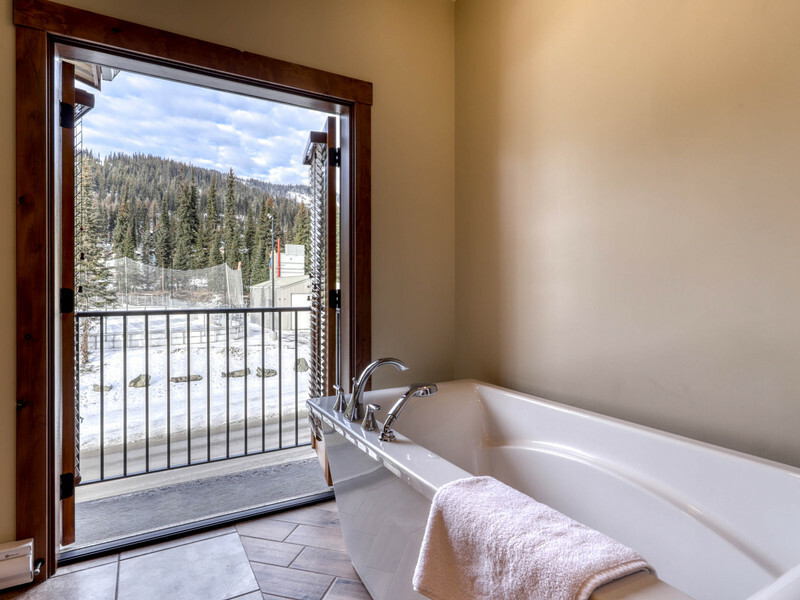 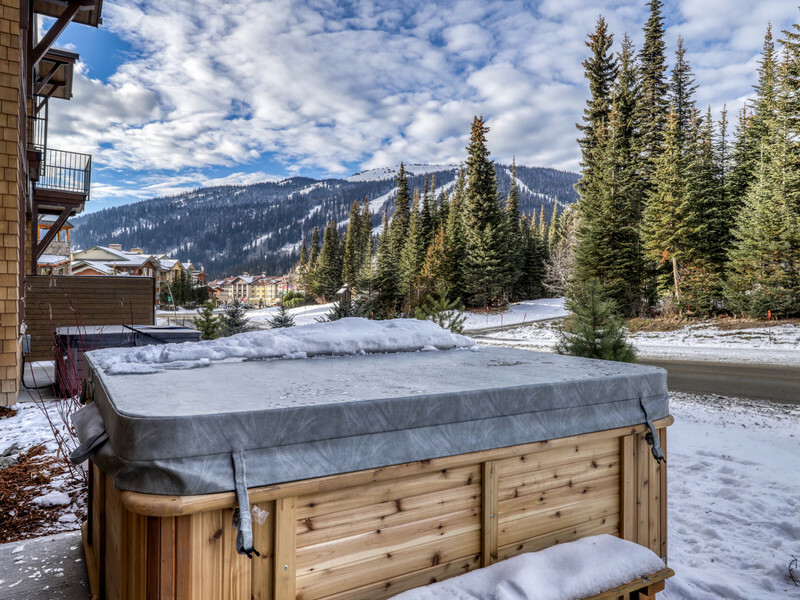 Step out to your very own hot tub and BBQ on the patio. 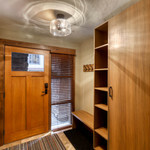 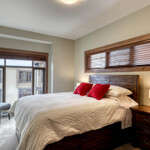 Upstairs you will find the master, 2nd and 3rd bedrooms. 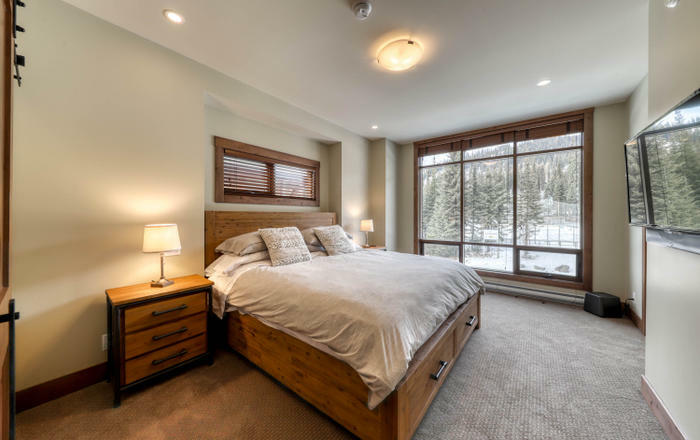 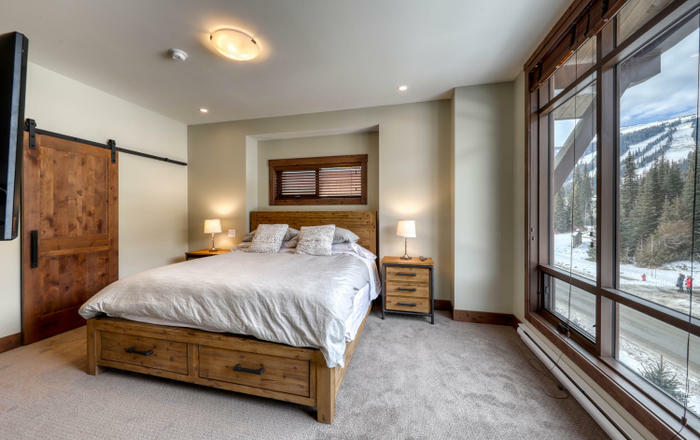 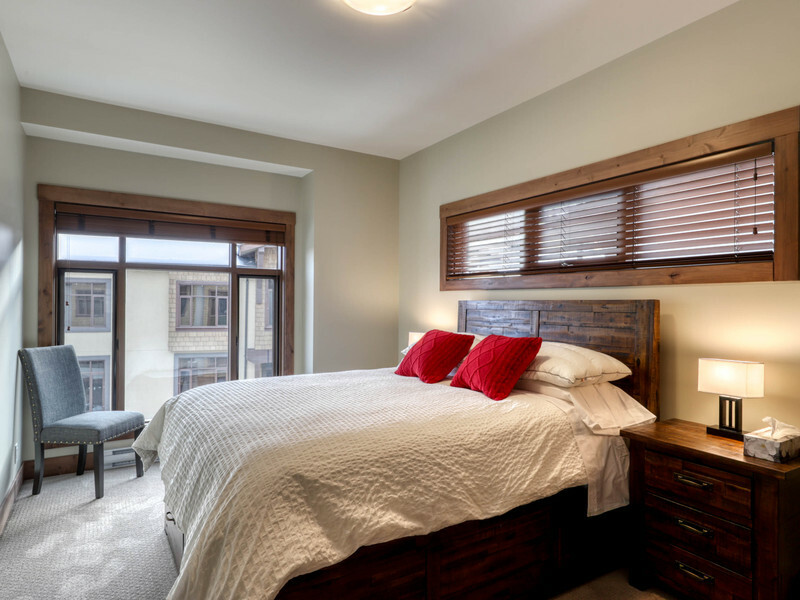 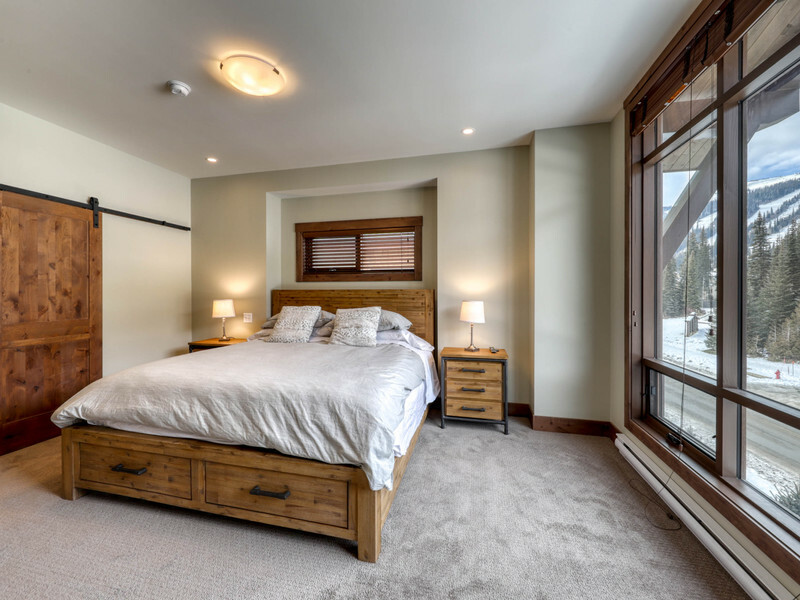 The master bedroom has a king bed, flat screen TV, a balcony and a very large private ensuite with dual sinks, large tub, and walk-in shower. 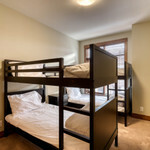 The 2nd bedroom has a queen bed. 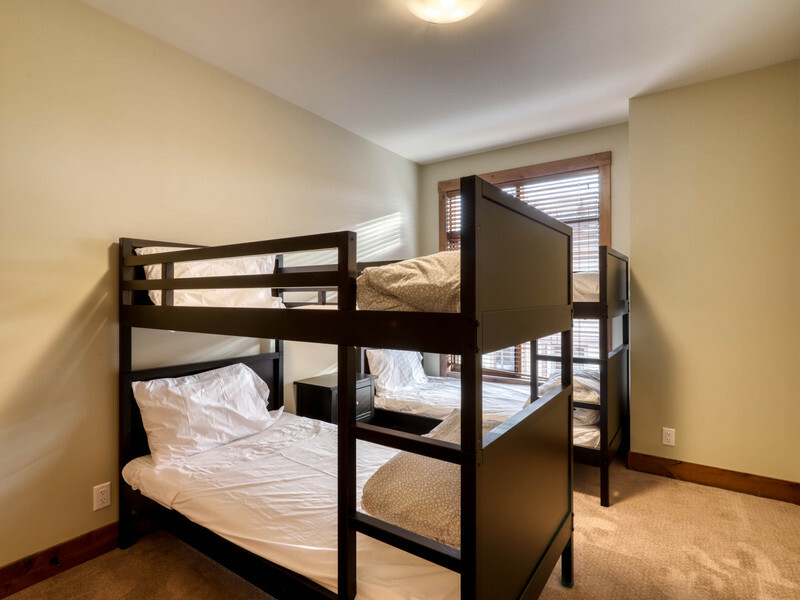 The third bedroom is ideal for the kids with two sets of single/single bunk beds. 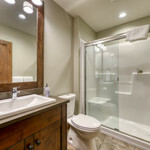 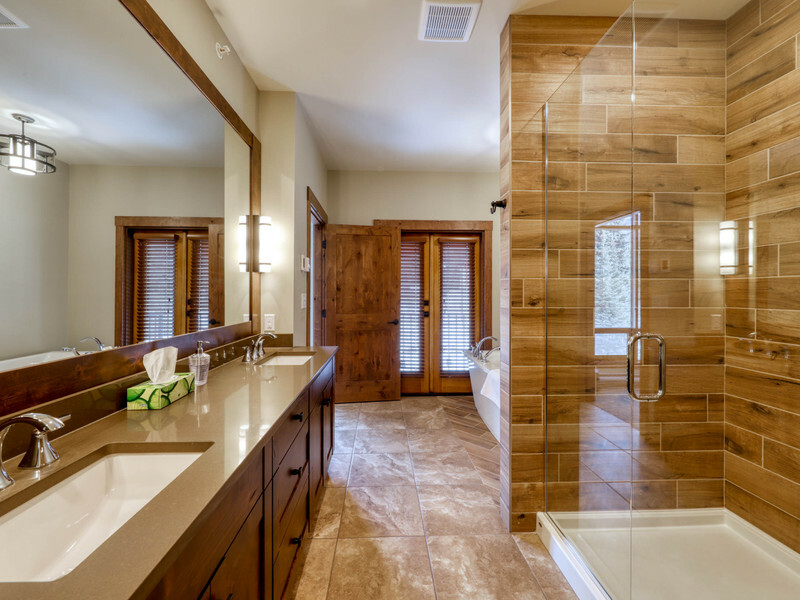 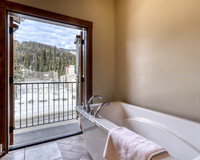 Adjacent to the 2nd and 3rd bedrooms is a full bathroom. 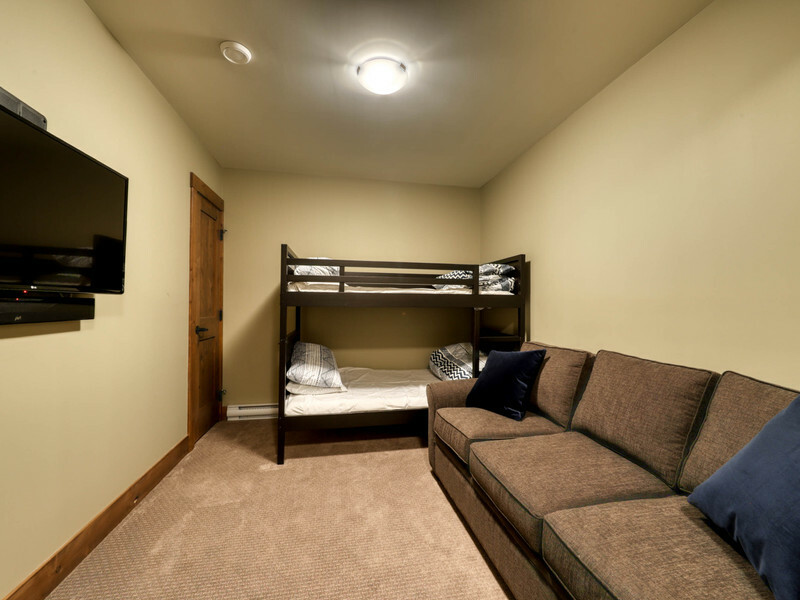 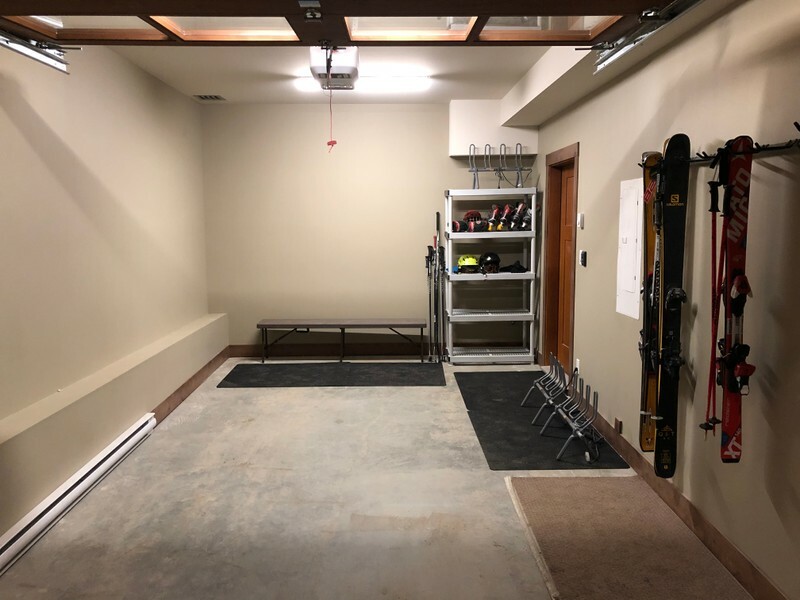 On the lower floor you’ll find the front entry, a single vehicle garage and a den area with a single/single bunk bed and a sofa, as well as a flat screen TV. 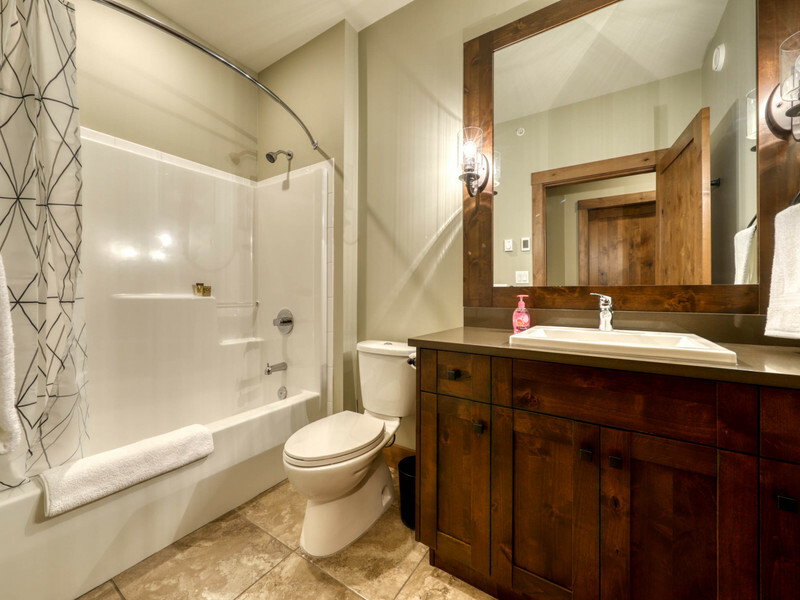 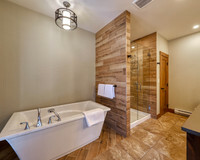 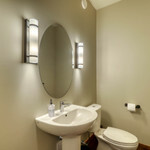 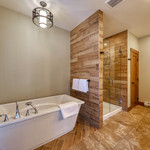 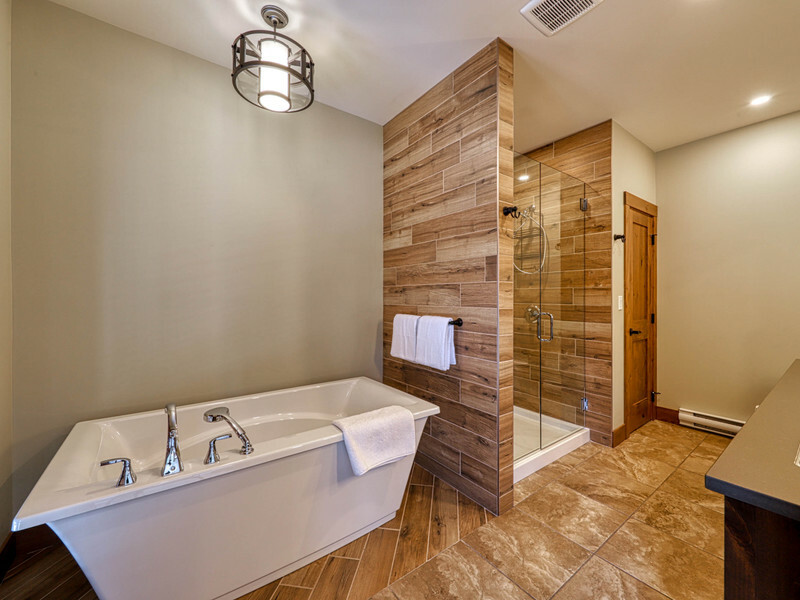 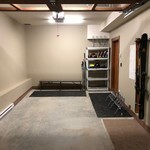 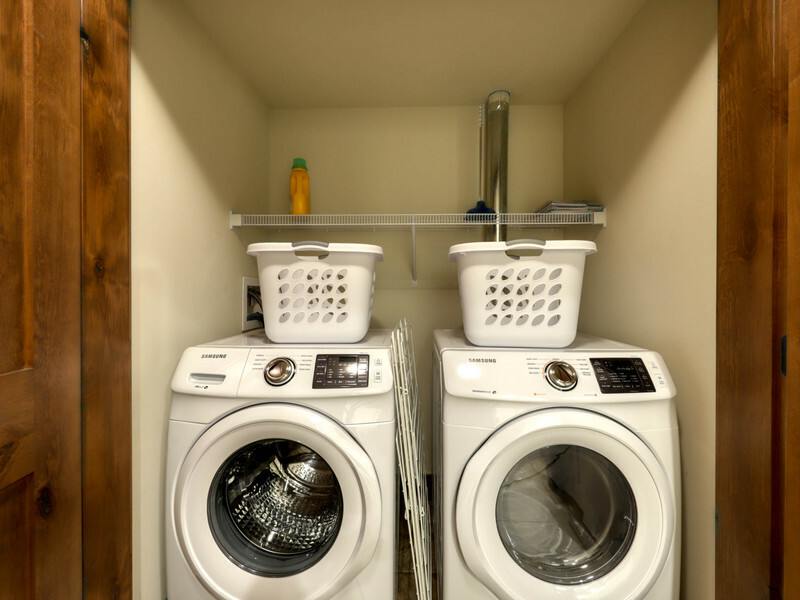 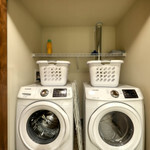 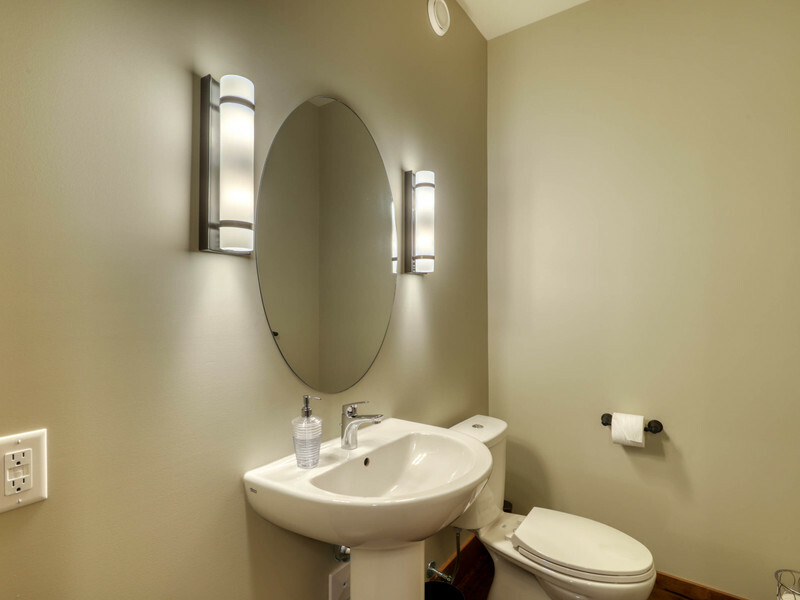 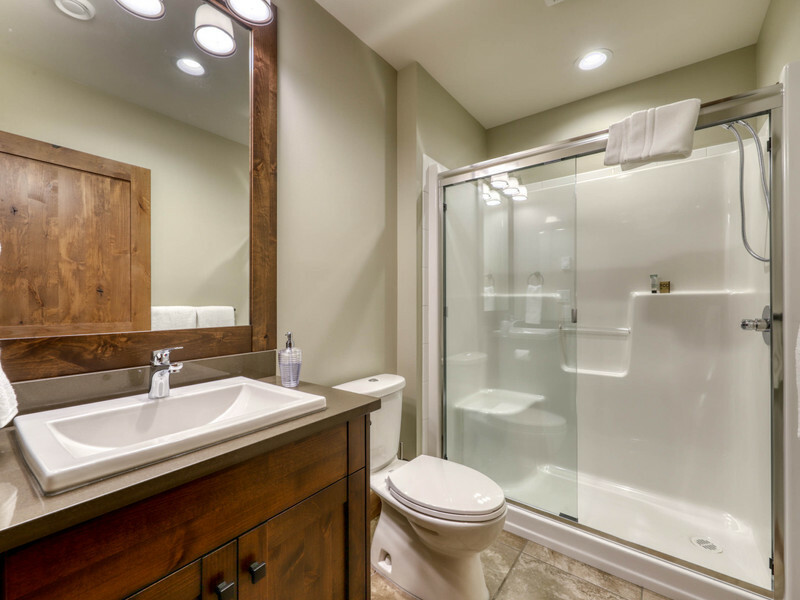 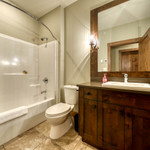 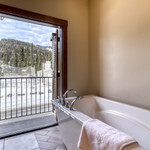 The laundry room and another full bathroom are also located on the lower floor level. 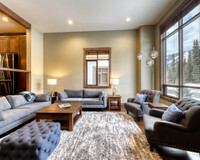 This luxury property allows 10 people maximum.